The floor was restored in the 19th century, according to the Roman design. Behind Will in this photo: The Madonna of the Rock statue, commissioned by Raphael. 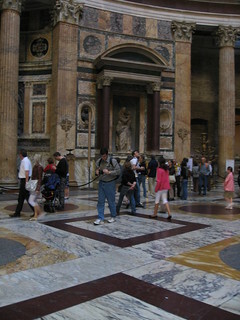 Raphael's sarcophagus lies below the statue.